All my friends will tell you that I am a die-hard fanatic and that I need to quit reminiscing about the old days when Palm was king (in my world at least). 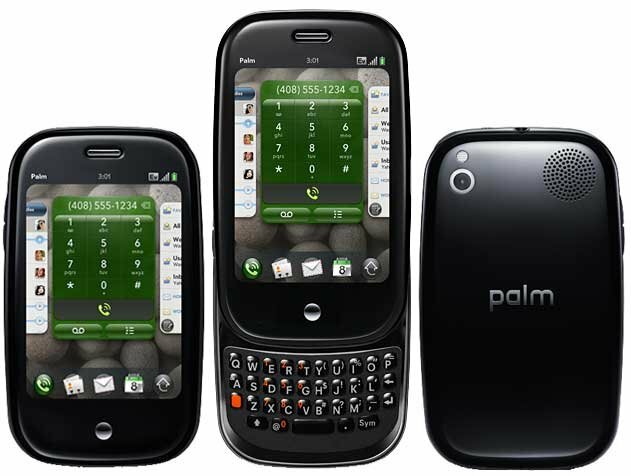 They often remind me that the Palm days are gone and that even I have switched to Android so I should just shut up about Palm. What they will never understand is the glorious synergy that Palm had (and yes that pun was intended for you fellow Palm fans). Nowhere else was hardware and software so beautifully molded in to one unit. Nowhere else could I synchronize all my calendars, contacts and other items in to one app on one device. Nowhere else could I find a physical keyboard that felt so right whenever I used it. That is until I saw the Blackberry Venice. We are currently at a time in the smart device timeline where physical keyboards are almost completely non-existent. Samsung recently came out with their keyboard accessory for the Galaxy Note 5 and S6 Edge Plus which I believe is a valiant effort but the implementation looks kind of ugly. Shortly after that Evan Blass of evleaks posted some new images of the Blackberry Venice that got me pretty excited. There have been several leaks since the posts from Evan and although we haven’t had the chance to do a write-up on all of them, I have been following them very closely. My excitement has kept building and building. Late last week Baka Mobile posted a hands-on YouTube video with a Blackberry Venice evaluation device (video courtesy of Android Authority linked below). In the video you get to see the phone in pretty good detail. The two features that stood out to me are that it has curved edges on the screen, similar to Samsung’s Note series, and more importantly it comes with a slider keyboard. Part of my love for my Palm Pre was not only the fact that it had a physical keyboard but that I could put it away when I didn’t need it. The Palm Pre was a little bit bulky but the Blackberry Venice is super thin and the keyboard doesn’t add much to the thickness of the device. Watching the video the device seems to run very snappily and looks very slick. There have been a lot of devices that I would be happy to try out and would probably be happy using as my primary device, but until the Blackberry Venice there hasn’t been a device that I am dying to get my hands on. I am very excited to see the phone once it rolls out and I am hoping it will be available on Sprint! Be sure to check out the video below to see the Venice in action!